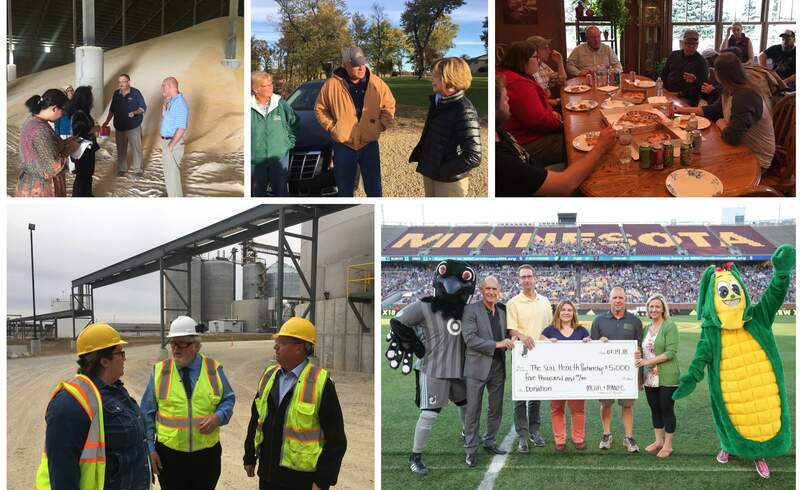 The Minnesota Corn Growers Association (MCGA) is looking for a creative and organized college student skilled in design to help share stories from the state’s 24,000 corn farmers. In this paid position, the intern will play a significant role in both conceptualizing and producing compelling designs for MCGA’s print and digital platforms. For undergraduates working towards a career in a design-related field, this internship offers a great opportunity to build a diverse portfolio of design work intended for a number of different audiences, including farmers, consumers and food influencers. The successful applicant will also gain exposure to Minnesota agriculture through educational and outreach programs, communications and marketing initiatives, and grassroots member engagement as well have the opportunity to network with thought leaders in the Twin Cities and greater Minnesota. Key responsibilities will include assisting with graphic design projects, management of website content and social media accounts, assisting with special events, and more. No previous agriculture experience is required. The deadline to apply for the 2019 Internship Program is April 15. The time frame for the internship will be approximately May 20, 2019-August 30, 2019. Click here to apply online and for additional details on qualifications and responsibilities, compensation, and more.